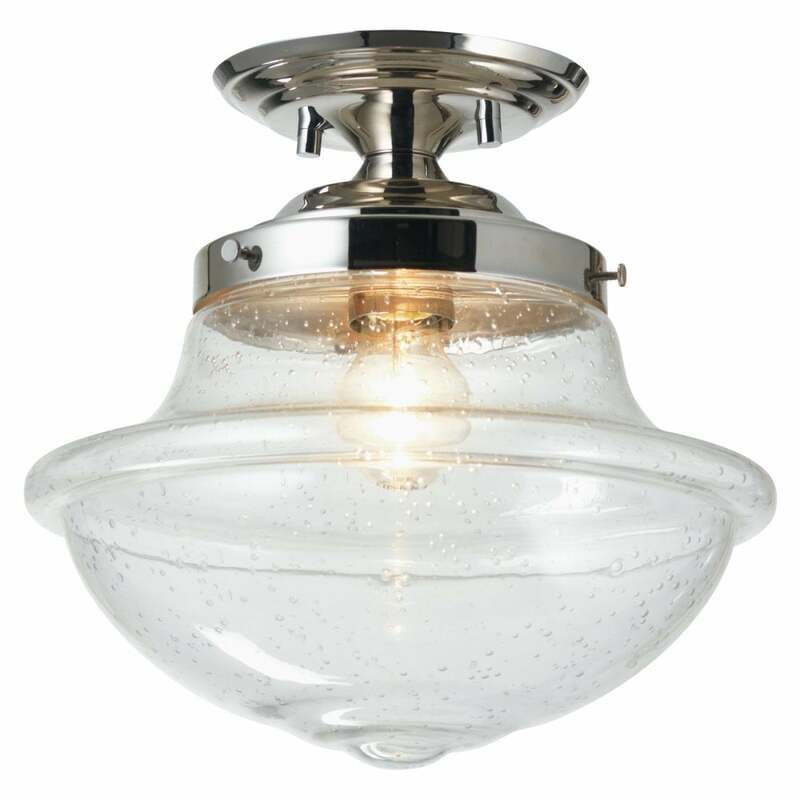 Oaks Lighting Lars single light semi flush ceiling fitting features a circular ceiling plate in polished chrome finish , holding a bowl shaped clear glass shade. This product code is 523/1 CH. The simple design has an Art Deco feel and is perfect for both traditional styled decors, teamed with a filament lamp will complete the vintage look. Especially suitable for rooms with low ceilings. Also available black or antique chrome finish which can be viewed on our website.